AAMIR KHAN REVIEWS SRK'S ZERO TRAILER! 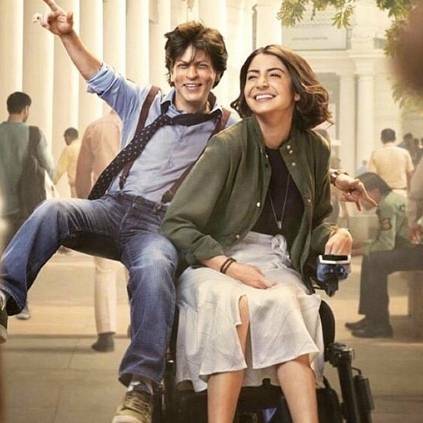 Zero is an upcoming Hindi film, written by Himanshu Sharma and directed by Aanand L. Rai. It has Shah Rukh Khan in the lead role alongside Katrina Kaif and Anushka Sharma. It is jointly produced by Colour Yellow Productions and Red Chillies Entertainment. The movie is all set for a release on December 21st. The trailer of the film has not been released to the public yet. But, being one of the few people to have seen the trailer, Aamir Khan took to Twitter to share his thoughts about it. "Guys, I just saw the trailer of Zero. Just one word... OUTSTANDING!!! Congratulations @aanandlrai ! #Katrina is fantastic! @AnushkaSharma is unbelievable! VIDEO: Anushka's Anger Made Virat Proud! People looking for online information on Aanand L Rai, Anushka sharma, Katrina Kaif, Shah Rukh Khan, Zero will find this news story useful.